Rich cultures, foodie experiences, flamboyant architecture, natural beauty… Napier has so much to offer any traveller hitting the Hawke’s Bay region of the North Island! 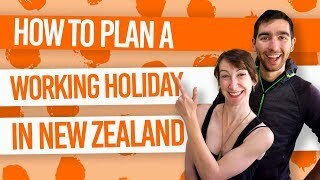 However, we can’t do everything on the 15 Super Fun Things to Do in Napier list. Otherwise, we’d be broke! With that in mind, we’ve picked out the highlights in this list of Napier must-dos! 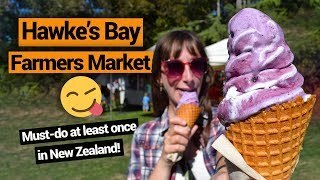 If you do have more time beyond visiting the famous vineyards of Napier, visiting historic Maori villages, or seeing huge colonies of majestic seabirds, then take a look at our 10 Free or Cheap Things to Do in Napier! 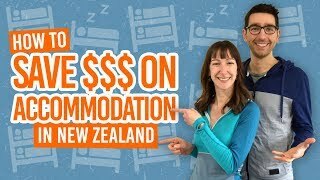 We’ll also give you some excellent budget accommodation options in Napier so you can enjoy the sun, culture and nature for longer! As New Zealand’s oldest wine region, wine is a pretty big deal in Napier. Doing some sort of winery tour in Napier is, for sure, a Napier winery tour! Whether it’s a self-guided tours by bike, foot or car (pick up a wine trail from a local information centre), or joining a tour that will handle the driving and cellar door choices for you, you’re bound to sample some terrific full-bodied red wines of the region. If there’s one winery we can recommend, check out Church Road, New Zealand’s oldest commercial winery. For more wine tours you can’t miss, see 9 Great Winery Tours in New Zealand. Location: There are 72 wineries across Hawke’s Bay. Pick up a Hawke’s Bay Wine Trail map and begin! Don’t know what Art Deco is? Nobody does! But it’s something you have to experience in New Zealand’s Art Deco capital! Napier was rebuilt in a funky style created the 1920s called Art Deco after an earthquake struck the city in the 1930s. 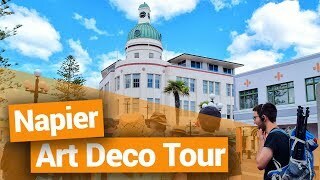 Many agree that Napier is the best-looking city in New Zealand so embrace it by taking an Art Deco tour either from the Art Deco Centre (7 Tennyson Street) or do a self-guided tour by checking out the interpretation panels around the city. Learn more about Napier’s obsession with Art Deco in our Napier – Guide for Backpackers. If laidback rides are what you’re after then cycling in Hawke’s Bay is a must! The cycle trails around Napier and Hastings are plentiful and diverse. Choose from rides along the coast, cycle trails between wineries and through the countryside. We’ve listed the best bike trails for you in our guide to Mountain Biking in Hawke’s Bay. Breathtaking scenery and close encounters with majestic seabirds await in gem of the Hawke’s Bay region, Cape Kidnappers. 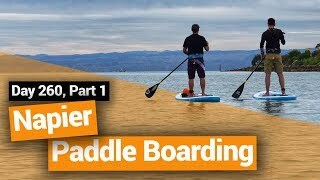 While Cape Kidnappers is about 23km out of Napier, we still couldn’t resist adding it to this list of Napier must-dos! Begin your trip in the small village of Clifton where you can either embark of a 5-hour return walk or 4-hour tractor tour to the world’s largest mainland gannet colony! On top of that, a trip along the beach to Cape Kidnappers reveals dramatic cliffs containing fossils, fault lines and layers of rock formed over millions of years. The Hawke’s Bay region is steeped in Maori history and a fantastic (free) example is at the Otatara Pa just outside of Napier. Take a 45-minute walking trail through the region’s once most-prized Maori fortified village built atop a hill with manmade terraces. Carvings and interpretation panels tell the village’s stories. The stunning views over the region and even over to the Central North Island volcanoes are just an added bonus to the experience.